I was a mental health service user for eight years. I was admitted, diagnosed, received treatment then discharged back to primary care. And here I am, now a third-year mental health nursing student. I’m passionate about breaking down the ‘us and them’ attitudes that I’ve seen in mental healthcare professionals. After all, we can all become a service user, have a psychotic breakdown, become depressed or consider taking their own life. My experience as a service user has been one of my biggest assets during my training. Of course this comes with its challenges: I’ve bumped into former therapists in the office and not known what to say. I’ve seen a service user in the waiting room who I attended a group with five years previously and had to decide whether to smile or duck into the staff room. And I’ve had to explain that I’m wearing a long-sleeved top to cover my self-harm scars. These are just some of the day-to-day challenges that I face, but overall I feel my experience has shaped me into a better mental health nursing student. When a service user says ‘You don’t understand what it’s like being here’, my response in my head is ‘Oh, I do. I understand only too well.’ However, that’s not what I say; in my three years of training, I’ve not once told a service user that I have stood in their shoes. There are times where I've felt it could have been appropriate to speak about my own difficulties with mental health as it could have broken down the ‘us and them’ barrier and led to a more trusting and therapeutic relationship. But I am also aware that it could interfere with the professional nurse-patient relationship and overstep the mark. Of course, it should be about the service user’s emotions, story and recovery, and for me to tell my story would shift the focus from them and their care. 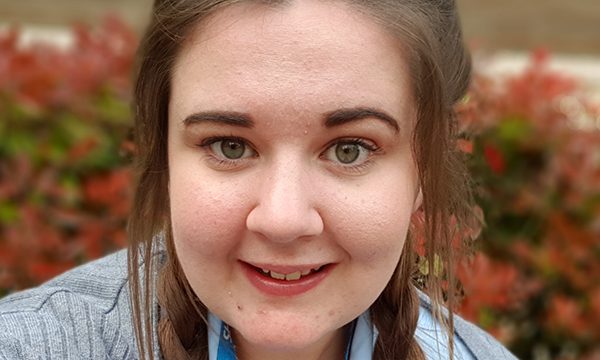 My experience of the mental health system has given me a beneficial insight into how it feels for the service users I support in my placements. For example, when I was a service user I had a community mental health nurse who visited me and asked me if it would help if we spent the hour cleaning my room and changing my bedding. That act of not just chatting, but of working with me to get my room sorted had a positive effect on me for the rest of the week. It was the perfect example of person-centred care that I have carried with me through my training. My experience also taught me about the big things. I believe that my contact with mental health services could have been significantly shorter or even avoided if I had received an early intervention in primary or secondary school. I can also reflect on being admitted to a mental health ward and the effect that had on my family. My experience taught me the importance of family support and how it is a vital part of the holistic approach. I have learned about the stigma of having a mental illness and the emotions – positive and negative – that come with being diagnosed and how it can affect a person’s life. I understand my lived experience does not reflect that of every person with a mental illness, but it has given me an insight into some of the emotions that the service users I work with may feel, and ways in which the mental health system needs to be improved. I’ve often heard mixed opinions when mental healthcare professionals discuss whether former service users could or should be nurses: I say we should encourage them because I believe my lived experience has given me a unique insight into how we can support and work with service users to deliver holistic, person-centred care.